Honolulu Museum of Art » Freak Out! 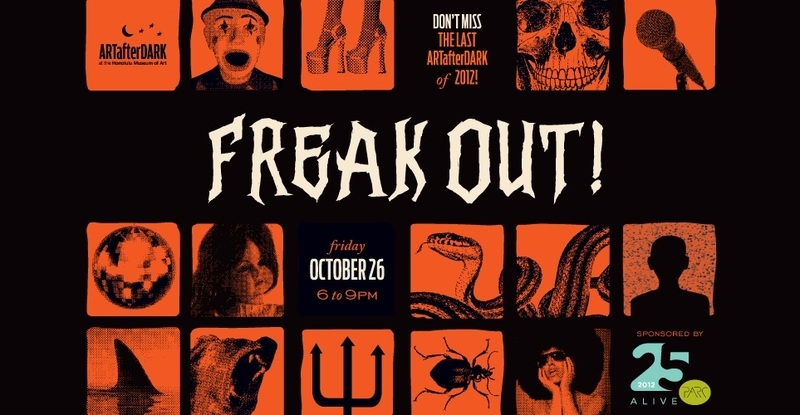 Home / Events / ARTafterDARK / Freak Out! Fabulous! These guys got the art memo. 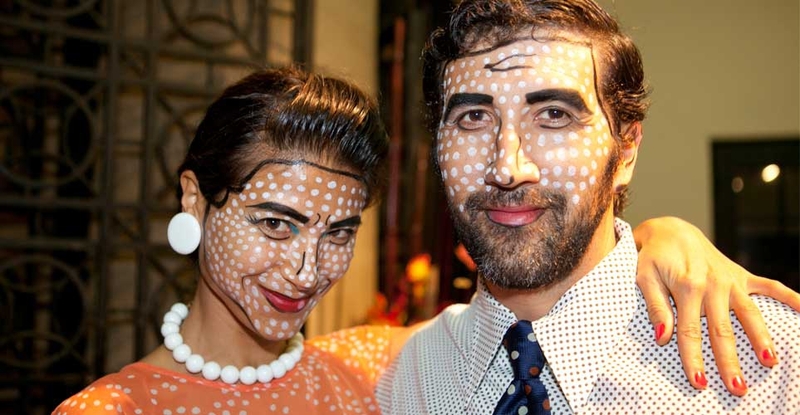 Genia Taitano and Joshua Carpenter as a living Lichtenstein. 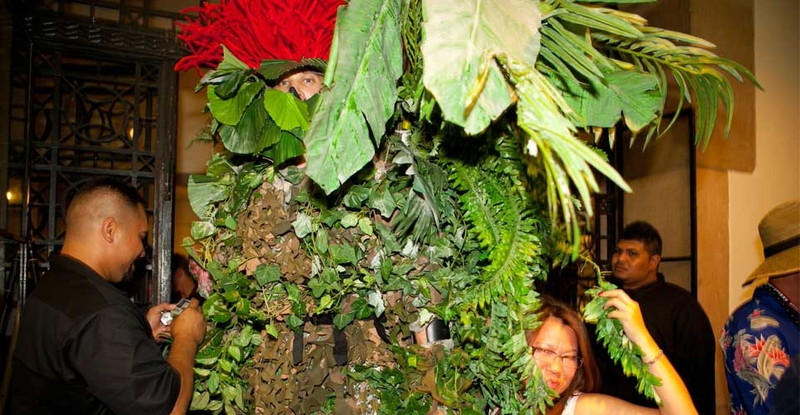 Costume with a conscience: Shepherd Myers as an ohia choked by invasive species. In case you were wondering what ever happened to Lisa Loopner and Todd DiLaMuca...Jennifer Burns and Scott Keir are the best Nerds! Mari Kam, Serah and Takashi from the Waikiki Parc Hotel! Experience the wonderfully weird at this Halloween warmup! Fancy dress encouraged. ARTafterDARK admission: $10. Free for museum members. In the ring: Final round of Spalding House's ARTCLUB! The finalists of this art competition (battles have been happening the past year) go head to head to see who can create the freakiest costume. Freak Show Costume Instagram Contest: 25 of the creepiest, funkiest, most elaborate and creative costumes will get prizes from sponsor Waikiki Parc. The grand prize? Two nights at the Waikiki Parc. 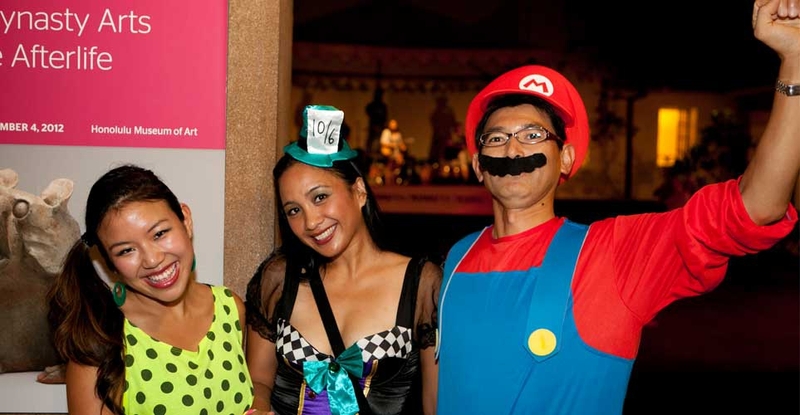 Get entry details here, and as you enter ARTafterDARK: Freak Out. NOTE: Costume accessories larger than 15 inches and play weapons will not be allowed on site. This includes fake guns, swords, bows and arrows, staffs, large wings, or other oversize costume additions. Please plan on leaving these items in your car or in one of our lockers. Photo booth! 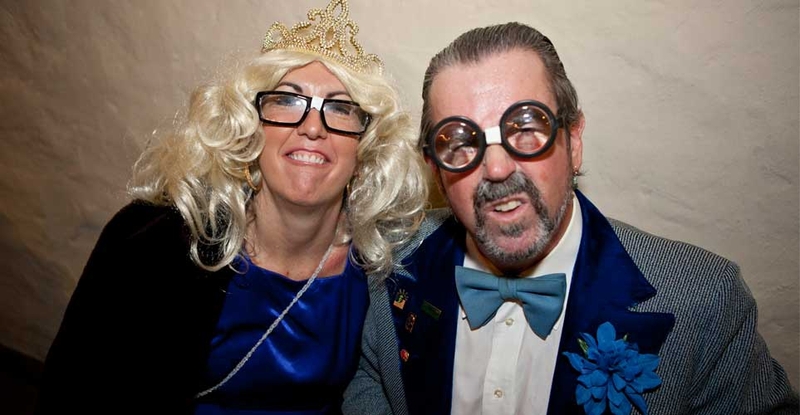 : Get your mug shots taken at a photo booth that will be open throughout the evening. Food and drink by Indigo Restaurant & Bar. All plates come with steamed white rice, Asian red cabbage slaw and apple chutney. Bonus: Nobu Waikiki will serve up its Akuma "Devils" ahi poke ($7) in Palm Courtyard. Members' only: Special Nobu Waikiki pūpū station and Waikiki Parc wine bar in Mediterranean Courtyard! Also, a photo booth just for members. After the party: Go to the Zombiethon! in Doris Duke Theatre to see Voodoo Island at 9pm. 2) $4: The Pro Park Parking Lot behind the Honolulu Museum of Art School (1111 Victoria St), entrances on Beretania and Young streets. Pay at the yellow slot box next to the parking booth.